TRANQUIL ACRES - $125,900. 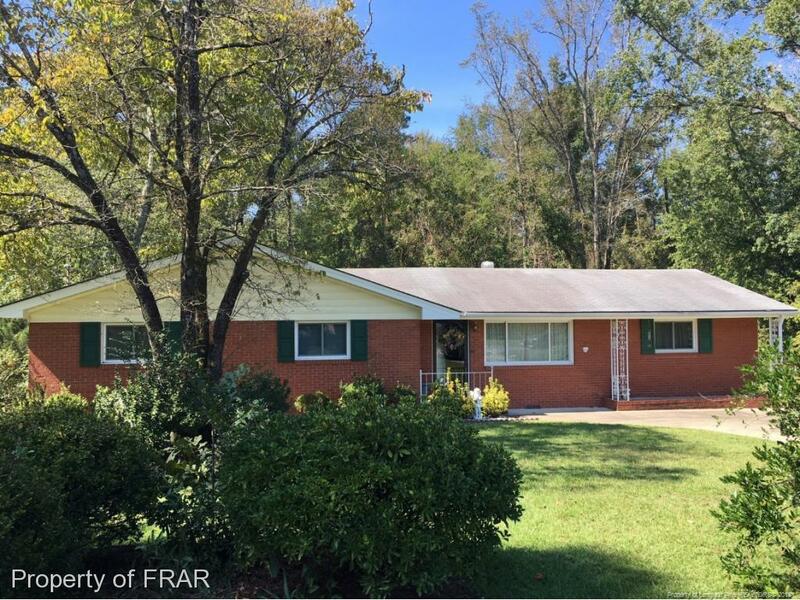 Brick home in an attractive neighborhood in the Cape Fear School district, convenient to 301 Business/Downtown, I-95 and Eastover shopping. Well kept interior that includes a formal living room/dining room combo, den, kitchen with eat in area and 3 bedrooms. Converted carport is now a laundry area, game room/workshop and storage area. Sunroom off the back overlooks the private backyard. Home also has additional outside storage building with lean-to. Brick home in an attractive neighborhood in the Cape Fear School district, convenient to 301 Business/Downtown, I-95 and Eastover shopping. Well kept interior that includes a formal living room/dining room combo, den, kitchen with eat in area and 3 bedrooms. Converted carport is now a laundry area, game room/workshop and storage area. Sunroom off the back overlooks the private backyard. Home also has additional outside storage building.